Just wanted to toss out a quick intro. Met my girlfriend six years ago and her first car/daily driver was her '91 RX7. She wasn't aware of what she had due to a (now ex) boyfriend who convinced her it was a used up POS. Unfortunately, it has sat too long while other projects took my time and money, but now that she is commuting in an electric I will be restoring and upgrading it. First up is suspension: Tanabe GF210s with KYB AGX shocks, poly bushings, either Tanabe or RH sways, a front strut bar (eBay, because I had expiring eBay bucks haha), new 16" wheels with 225/50 Eagle GT tires - all that is on or should be by the end of the month along with a Borla exhaust and Bonez superflo. After that, I will restore the interior to correct 1991 condition and install a period correct looking upgraded sound system. Visually, the only evidence it is not original will be a Basslink subwoofer behind the seats. Mild tint on the back window, and building it up to 190 at the crank, and it should be a fun little canyon carver. I will be relying heavily on archives and noob questions to get me through things, so thank you all in advance. I will confess right now, this is my first foray into Japanese cars. I'm currently restoring a '73 MGB GT and a '93 Range Rover, and my past has been mostly old BMWs (a 2002, a couple of M3's, a Z3, a 318iS, a 535iS - all built for the Santa Cruz mountains) and Audis (urS4 and my current TT225). 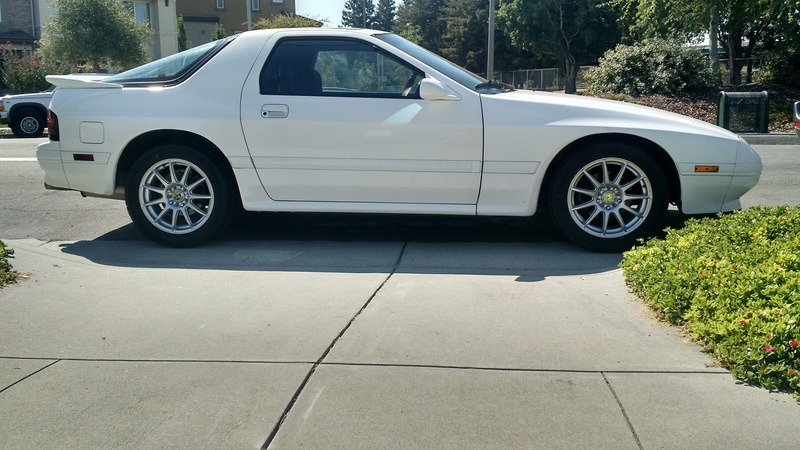 Oh, and if anybody in NorCal has a sunroof panel and/or a rear hatch, I am in the market. Looks nice! Can't wait to see more pics. Im Finally Getting Some Payback. Time is getting close ..and im getting depresed..